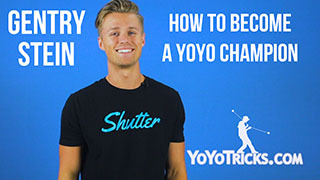 In the third installment of the How to Become a Yoyo Champion video series, World Champion Gentry Stein gives an in depth look at the rules regarding what kinds of yoyo tricks score, and what does not score, according to the modern yoyo contest judging system. How to Become a Yoyo Champion: Vol. 3 Tricks that Click (Technical Execution and Evals) Yoyo TrickThis is the third video in the “How to be a yoyo champion series”. In this video, I’m going to teach you how tricks score, so you can have a better approach to building a set of tricks for contests. In order to build trick that scores, you need to know what scores and what doesn’t. 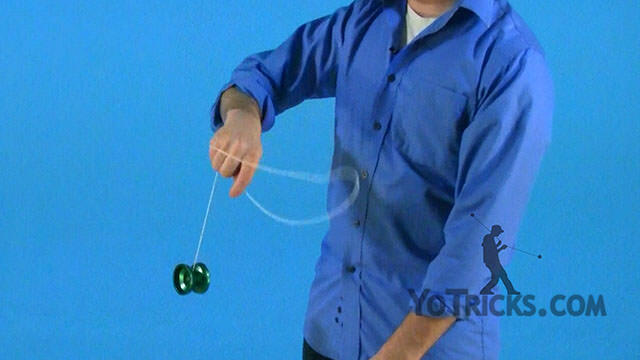 To start things off, the yoyo has to be spinning in order to receive points. 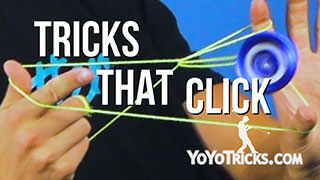 Also, both the yoyo and the string have to be involved in the trick. 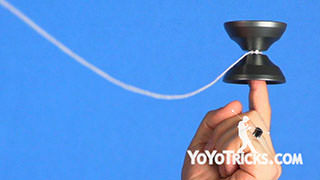 For example, a trick like this where the yoyo is sitting still, and the string is doing all of these maneuvers. As another example, doing a fingerspin and hopping between fingers. 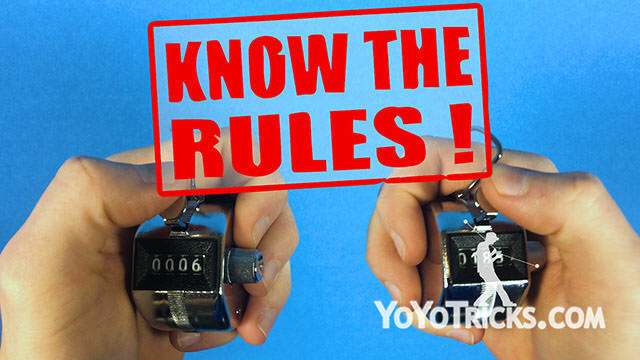 It’s not that these tricks aren’t flashy or cool, but because both the string and yoyo are not involved, they will not be scored according to the rules. All the other divisions have unique rules that determine how certain elements are scored. 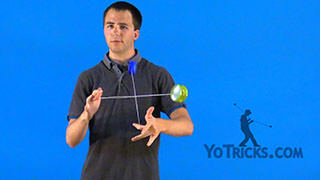 In 2a, if one of the two yoyos isn’t active, the trick won’t score. The most obvious example of this is performing loops with one yoyo while the other is not in play. 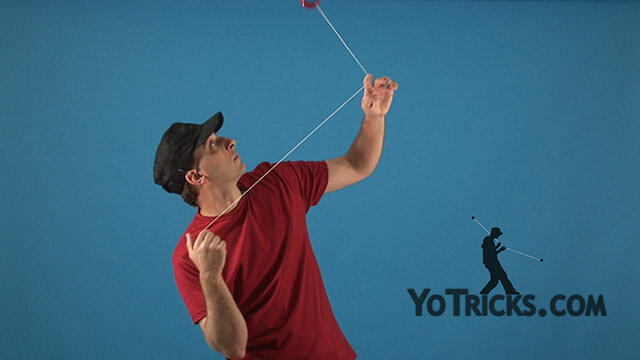 A yoyo can also be spinning but not considered active if it is not involved in a 2a element. 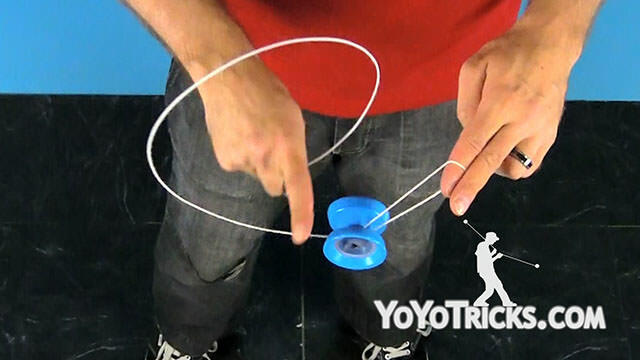 For example if one yoyo is merely sleeping while doing inside loops with the other hand, no points will be rewarded. 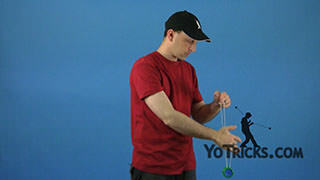 3a is similar to this in the sense that both yoyos also need to be active. 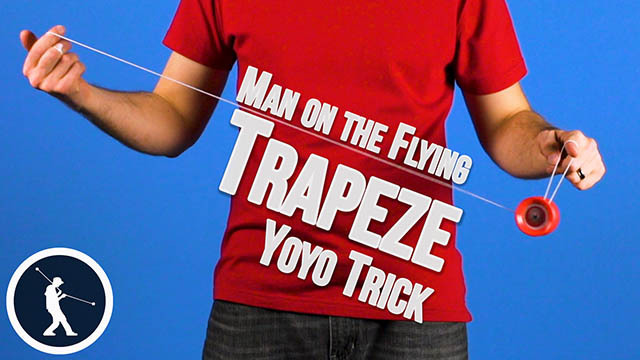 For example, if one yoyo is sitting in a trapeze while not moving, it doesn’t matter what the other yoyo is doing, the trick won’t score. In 4a, any trick performed where the yoyo doesn’t leave the string will not be scored, even if there is a level of difficulty involved in the trick. 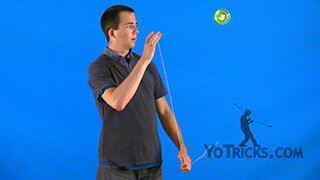 This includes both loop elements, as well as rolling elements where the yoyo never leaves the string. In 5a, the yoyo and the counterweight have to be active. Simply pinwheeling the counterweight while doing tricks with the yoyo is not scorable. 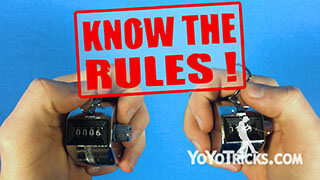 In a competition, you are given between 30 seconds and 3 minutes depending on the contest. Within the allotted time, you want to score as many clicks as possible, but the important thing to know is you earn clicks per element, not per trick. 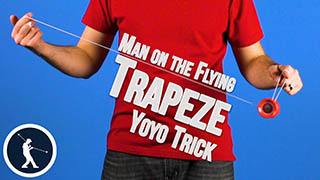 For example, this trick is made up of three elements, a trapeze, a whip, and a bind. Each of these elements are clicked individually. It’s not just the number of elements that are taken into consideration when scoring, but the difficulty is considered as well. By replacing easier elements with more difficult elements, you can get clicked higher. An example of this would be to go directly into the whip instead of doing a trapeze first. 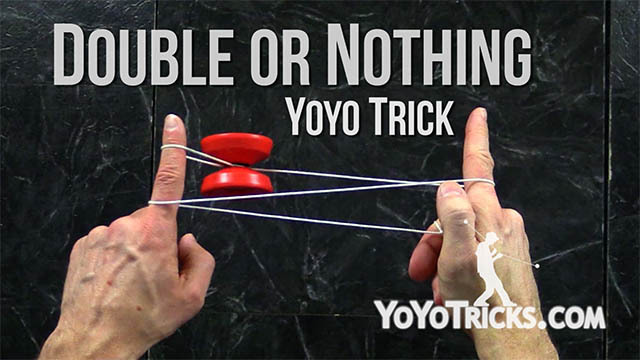 Even though there are fewer elements in this version of the trick, it will most likely score higher because of the increase of difficulty. This is also more efficient, because it takes less time to perform the trick in this way. Another thing to keep in mind is that you want to avoid repeated elements, since any element that is repeated will not be scored a second time. It can be a little difficult at first to know what is considered a repeated element and what is not, so I’ll give you a few examples. First, just because the yoyo is landing into an identical mount that you have done before, that does not mean that an element has been repeated. For example… there are many ways to get into the 1.5 mount. Directly, from a whip, a hop… all of these are considered different elements, so they will all be scored. 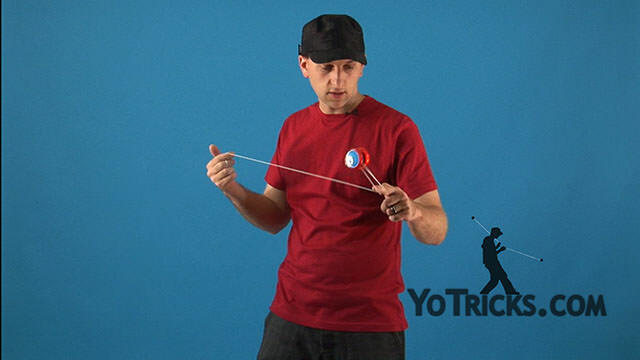 In general, if the yoyo is doing the same maneuver while the string is in a different formation, the trick element is still considered the same or repeated. For example, when you do a double on in a double or nothing, then, you do a double on in on in a triple or nothing, the element is considered the same. This goes for any other string formation as well. If you get into a more complex mount, and do a double on, the element is still the same as when performed in the other two mounts. So, it won’t score. Sometimes players create a trick with a theme. For example, a trick where a player keeps doing underpasses with the thumb in different mounts. As the trick progresses and the string formation changes, players might assume that it’s a different element each time because it’s happening in a different mount, but because the action of the yoyo, hands, and string are essentially the same, the element is still considered repeated. Any element can only be scored once within a routine, so when structuring a routine with lots of different tricks, you don’t want to repeat an element that you already did in a previous trick, because it won’t be scored. While more difficult tricks score higher, it’s important to remember the ONLY way to score points is to land your tricks. 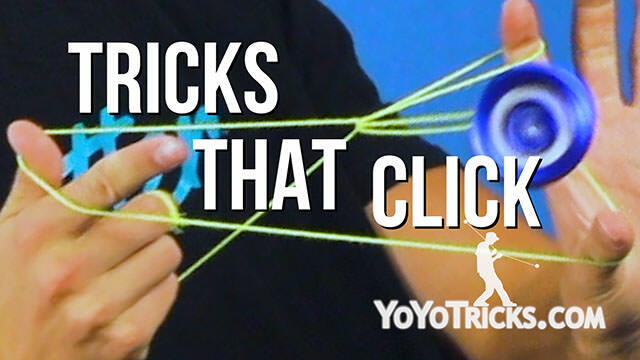 When keeping this in mind while preparing for a contest, you can find the right balance of difficulty that will allow you to land all of your tricks and maximize your total clicks. When talking about what tricks click and what tricks don’t, what we’re really talking about is the technical execution part of the judging system. Another thing to consider when designing tricks is the three technical evaluation categories, and how those will affect your overall score. Those three categories are Execution, Control, and Trick Diversity. 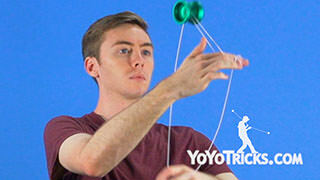 The first two relate to how well your tricks are performed. In the execution category you are judged by your consistency. 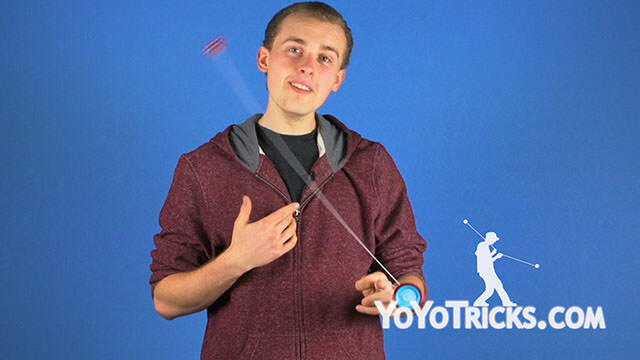 If you hit 100% of your tricks, you will receive a perfect score for this category. The control category, which used to be called cleanliness, judges your mastery of the tricks you perform. When we talk about mastery, we are not talking about your accuracy – that is considered in the execution category – rather this category specifically considers how smooth, clean, and controlled your tricks look. When considering control, judges will look for how seamless your transitions are between elements. Your tricks should be done without hesitating or pausing when you could be smoothly moving between elements. Judges will note times when the string looks sloppy because it has slack in elements that, when perfected, should be taut. 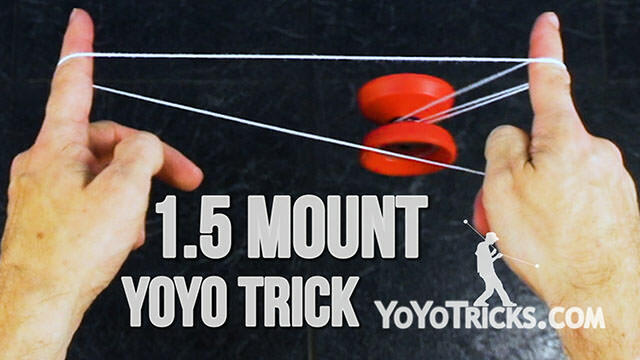 They will also consider how your yoyo lands on the string after elements like hops or whips. 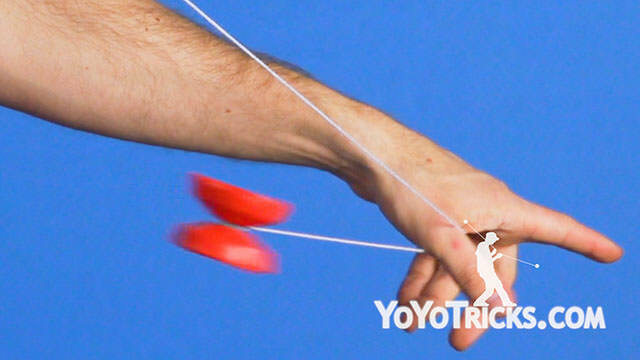 The yoyo should land crisply on the string, without any unintentional movement. Taken together, execution and control judge how well you perform your tricks. The third category is trick diversity. 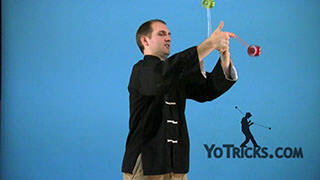 This category considers your chosen mix of tricks, along with the diverse ways you choose to present those tricks. To score high in this category you will want a diverse set of tricks – speed combos, whip and slack elements, tech elements, bangers, horizontal, etc. diversity of elements alone though is only a part of this section, and will not earn you a high score. In addition, your presentation of your tricks should be diverse as well. You should do tricks with different pacing and style. You should consider having some tricks that are very smooth and flow gracefully, while others are halting and aggressive. In all of this, when putting together your first routine you need to find a balance between trick difficulty and tricks that you can hit accurately and perform well. If your tricks are too difficult for you, even when you land them they may get a lot of clicks in the technical execution category, but you will lose points in your technical evaluation scores because they won’t be controlled or presented well. As you compete more you will discover a balance that works for you. While you want to do difficult tricks to receive more points, it’s most important to do tricks that you can land. 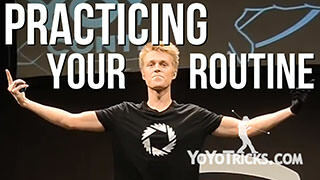 When you can hit your tricks confidently, you can focus more on the other aspects of the tricks, like how controlled they are, and how diverse your presentation is, which will also raise your overall score. When keeping all of this in mind, you will be well on your way to building a set of tricks for a contest that will look good and score well.